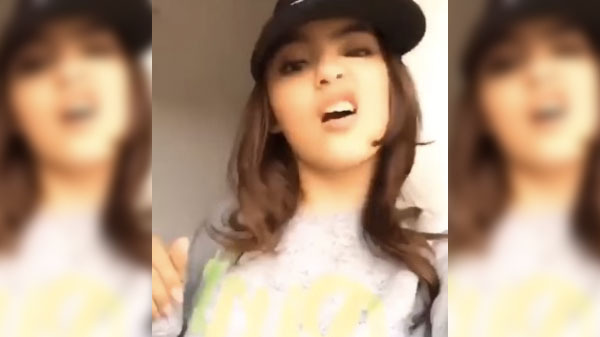 A Musical.ly video of young ABS-CBN actress Andrea Brillantes is making rounds online. Andrea Brillantes is now trending online after sharing a new video of hers on Instagram Friday night. The said video shows the actress in a short clip doing a Musical.ly cover of Chris Brown’s hit “Look At Me Now” ft. Lil Wayne, Busta Rhymes. Watch Andrea Brillantes Musical.ly on the video below. So far, the video received more than 10K likes on Instagram and is being shared on social media by bloggers and online local news media. What an you say about Andrea Brillantes’ new video? Share your thoughts and views on the comment section.